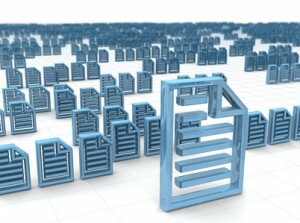 One of the most common problems when updating your computer and transferring files from one computer to the other is duplicate contacts and records. This can be even more of a problem when you’re syncing Salesforce and Outlook. The last thing you want is duplicate Salesforce records and duplicate Outlook records. In the next two blog posts, we’ll give you tips on how to avoid the time consuming process of deleting duplicates by avoiding them in the first place. If your old computer is syncing Outlook with Salesforce, then you already have folders set up to hold contacts and they are probably populated with quite a few records. When you migrate to your new computer with Windows Easy Transfer, these folders will transfer over as well. This sounds like a great time saver but it can create a problem. When you sync Outlook with Salesforce, and the folder you choose has contact records in it, and assuming you are syncing both ways, then either Salesforce for Outlook or the Outlook Connector will see those contacts as new records and create them in Salesforce. You will also get all of your original contacts from Salesforce into this Outlook folder as well. Depending on the number of contacts, this can be quite a mess to clean up, both in Outlook and Salesforce. Multiply this by the number of users upgrading and you can have quite a mess. As a best practice, whenever you want to start syncing Outlook with Salesforce, start with an empty Outlook contacts folder. Then the first sync will populate it with the records from Salesforce and they will all be in sync. Subsequent syncs can then take place without duplicate Salesforce records or duplicate Outlook records being created. Click here to continue to part 2 of “Windows Easy Transfer Creates Salesforce and Outlook Duplicate Records” where we give you the step by step process of avoiding duplicates when switching to a new computer and how to delete them if you already have them. [button type=”success” size=”lg” link=”http://bit.ly/1ydjmVm”]Need Help Integrating Outlook with Salesforce?